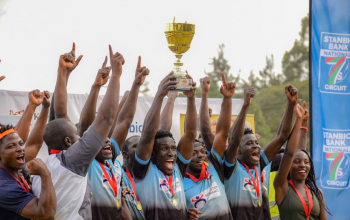 Masinde Muliro University of Science and Technology (MMUST) look to set alight the upcoming Sepetuka Sevens, the second leg of the six-part National Sevens Circuit, when it rolls off at the Eldoret Sports Club from 28-29 July. 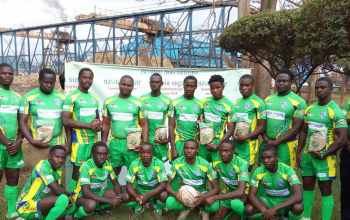 In the ended weekend MMUST clinched division two Bronze in the season opening Prinsloo Sevens in Nakuru after taking down Comras 33-0 in the losers final. They lost out 21-5 to eventual winners Kisii RFC 21-5 at the semis to end up at that stage. They have since scaled upward for division one rugby in Eldoret. On their path at Sepetuka Sevens are tournament hosts Homeboyz, Prinsloo quarterfinalists Menengai Oilers and Challenge Trophy winners at the same event Mean Machine, all banded in pool A.
MMUST skipper Samuel Mbeche is hopeful of good tidings as he reckons there should be no surprises in the event they cause an upset or two on day one. “The pool looks tough but you need to know we are a good team. We are confident we can cause an upset if not two. We have not lost to Mean Machine since 2017 and Oilers is a team we believe we can take on head on. They beat us 5-3 in Nakuru 10s with a try during the last play. The crucial match is against Homeboyz and we are ready.” He added confidently. MMUST start their Sepetuka chase against Homeboyz at 11.10 am on Saturday. They will be up against the Oilers at 13.40pm before rounding off day one with a game against Mean Machine at 16.30pm.